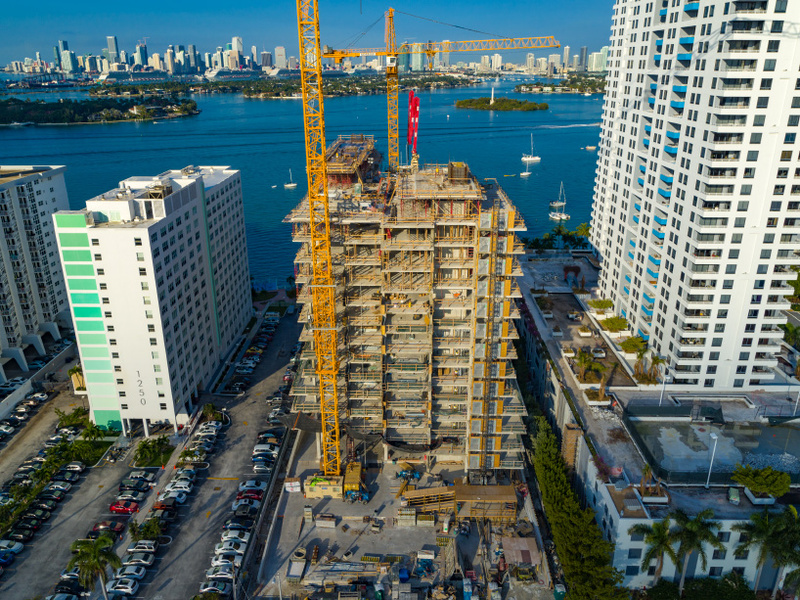 ‘monad terrace’, a residential building that forms jean nouvel’s first project in miami, has topped out in the city’s south beach neighborhood. 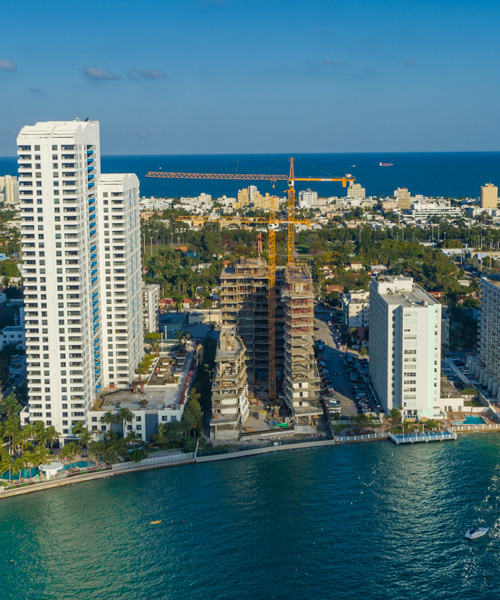 plans for the development were first unveiled in may 2016, with the project breaking ground in 2017. now, the first construction images of the project, illustrating its current state, have been released. 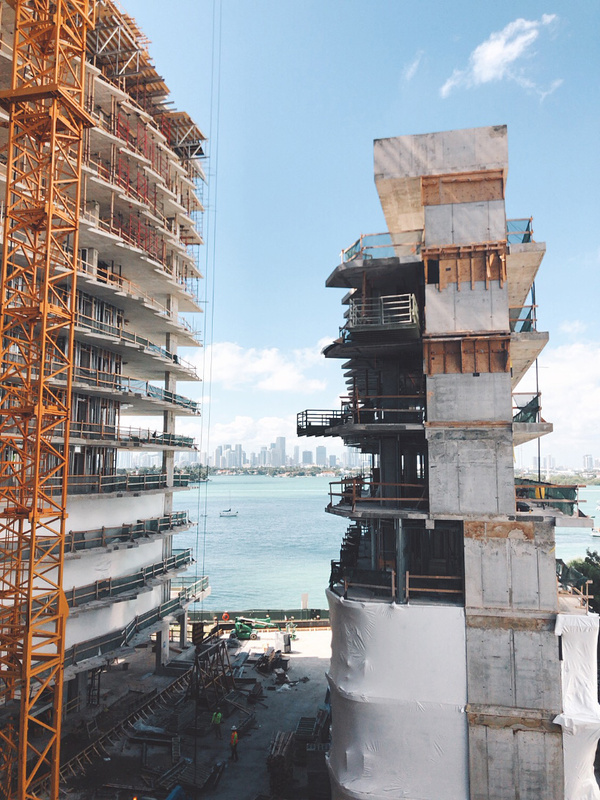 the start of the property’s signature water garden — comprised of the ‘central lagoon’, reflective pools and adjacent swimming pools — can be seen, along with the sawtooth façade that allows for ocean views from each residence. 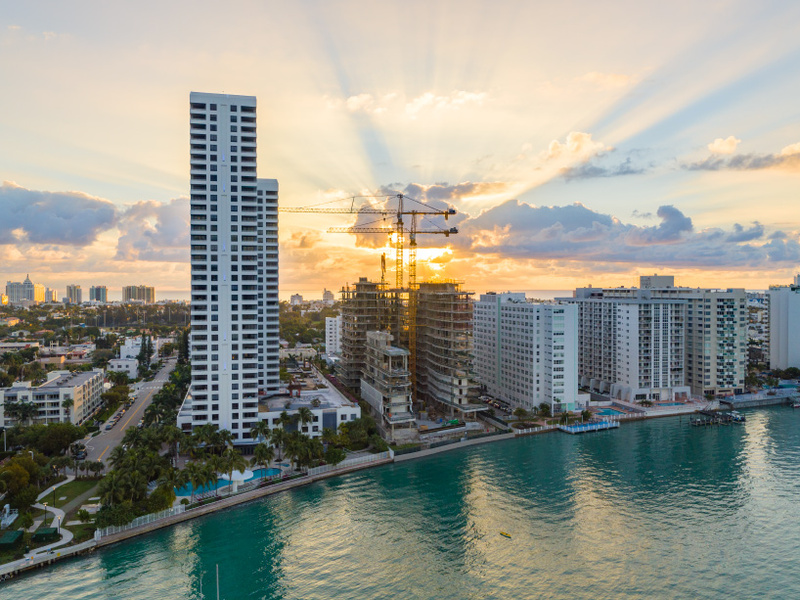 monad terrace — which jean nouvel designed in collaboration with kobi karp — has been designed to exceed recently introduced building codes, and incorporates a range of climate resilience features. 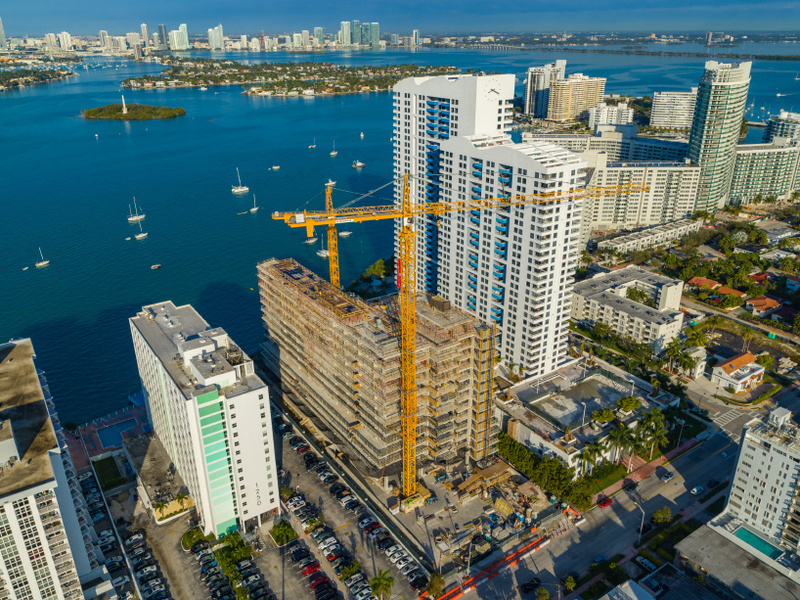 elevated by 11.5 feet (3.5 meters), the building is the first structure in miami beach to be constructed above west avenue’s new height, meaning that all interior spaces, as well as the garage entrance, are well above the flood plain. additionally, the parking lot will be reinforced to withstand flooding. 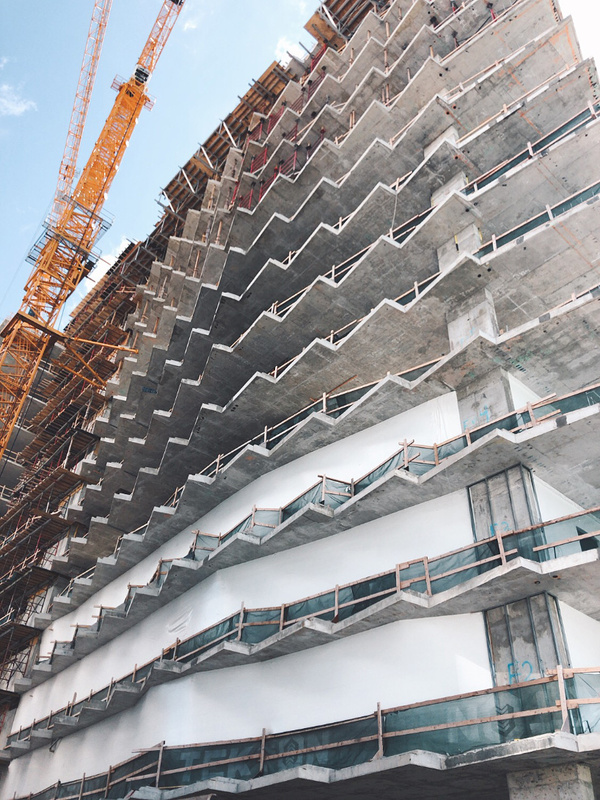 the ‘honeycomb’ screen system built into the building’s glass façade not only ensures unobstructed views, privacy, and natural light, but also significantly reduces glare and solar heat gain — in turn saving energy and reducing the building’s carbon footprint. the vertical gardens also provide energy-saving shade, while improving air quality and reducing the urban heat island effect. 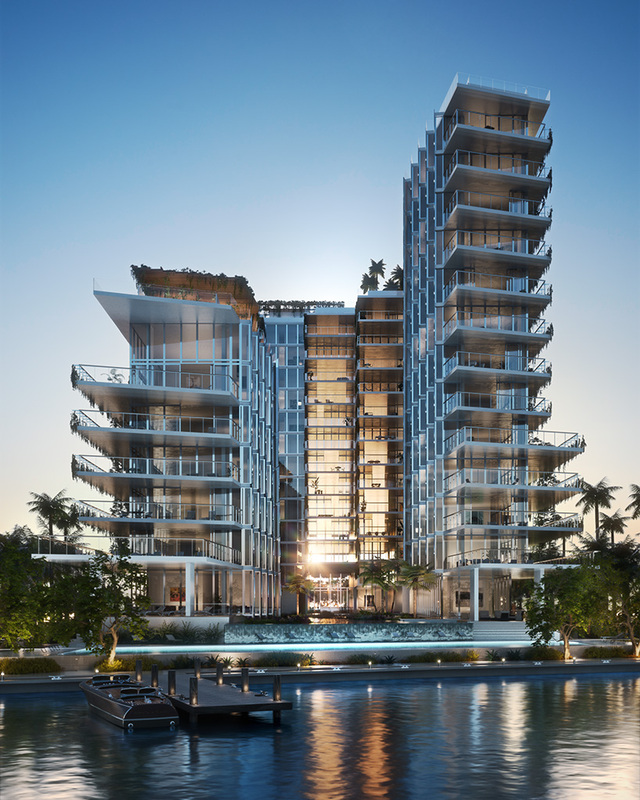 residences range from two to five bedrooms with generous indoor and outdoor living space. 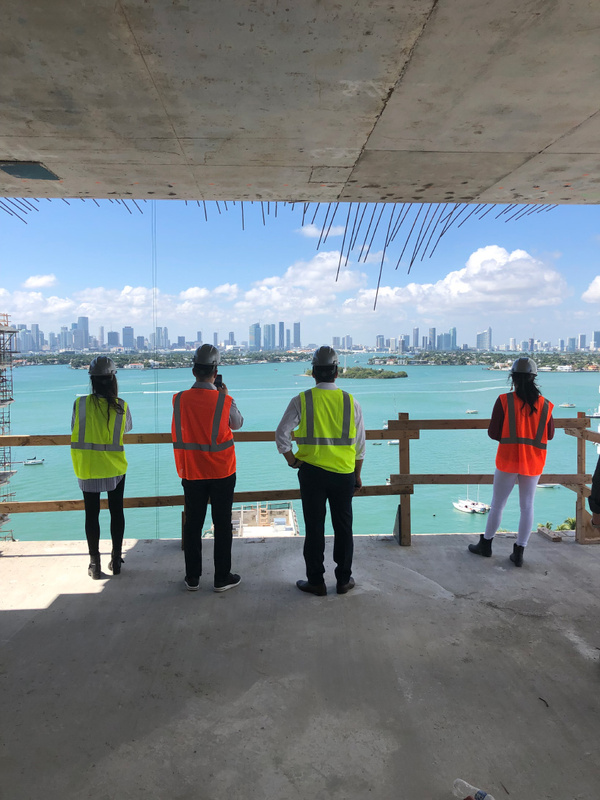 the building’s amenities include an in-house concierge, a sun deck with a 116-foot swimming pool and hot tub overlooking biscayne bay, valet parking, a café and juice bar, a wellness center, and a bicycle and water sports storage room. 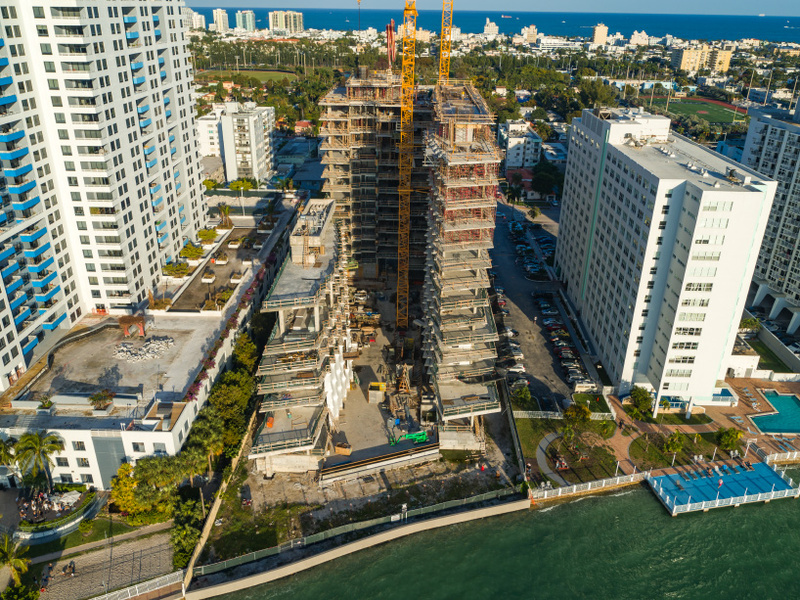 penthouse residences include private pools on roof decks. 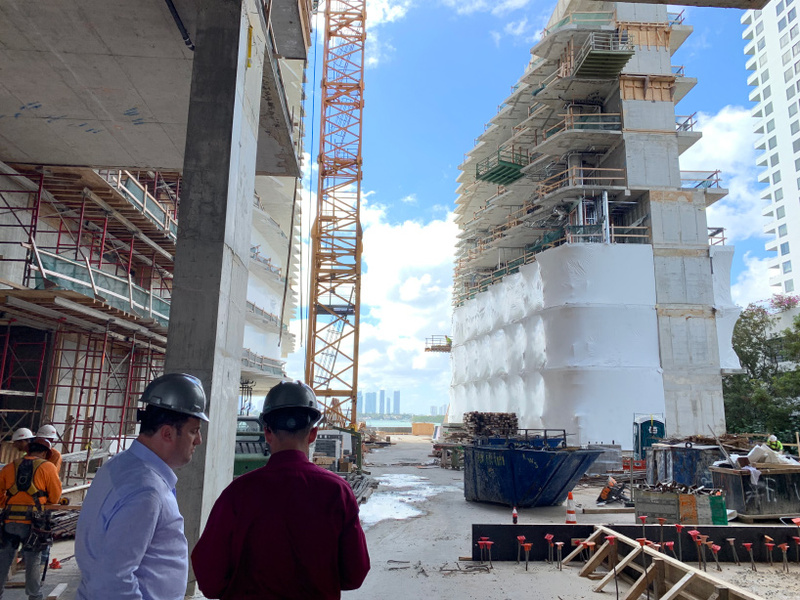 the project is on track for completion in 2020.